[See, not even the most positive can be sure]. Well…lets assess this from all sides. 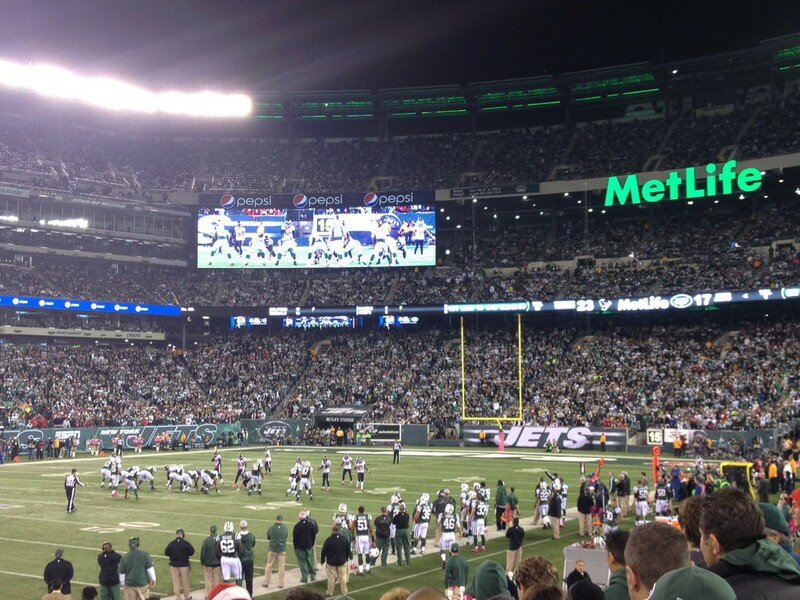 Live From the Meadowlands: It’s Monday Night! I was in attendance for Jets-Texans yesterday and got to watch the almost-destruction, almost-miracle, almost-Sanchez-led-comeback, definite-killer-interception in person. Here are a sprinkling of thoughts both on the live experience and on the game itself. I have seen 3 Texans games so far and this one was the first where there were a noticeable amount of Texans fans there. They were not nearly as overwhelming as the 49ers fans from the week before, but there were some nice pockets of fans around. I guess finally fielding a playoff team and being a decade in has allowed this team to gain some out-of-state fans. Luckily, we only have to stop at step 1 of that shirt. How Can The Jets Win Now? In consecutive weeks, the Jets have lost their two biggest playmakers: Darrelle Revis and Santonio Holmes. While the NFL has proven that you can rally from a star player becoming injured, a second star going down on such a flawed team leads most to believe that this will not be happening for the Jets. 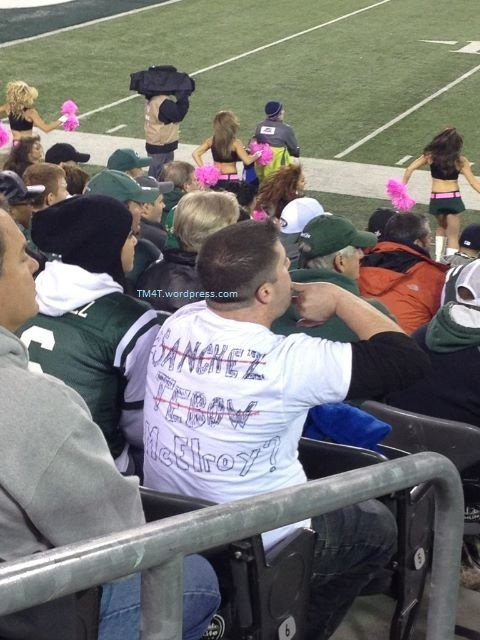 If we can all agree that the Jets will not be winning the Super Bowl this year, the best course of action for the Jets is to lose out and get as best of a draft pick as possible in the 2013 draft (hopefully with someone other than Tannenbaum making that pick). 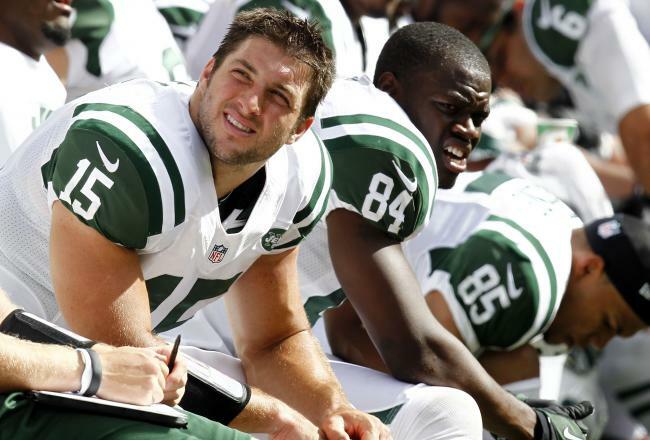 With that said, if the Jets are going to win more games this year, here are some Tebow-less ways they will have to adjust to make it possible.